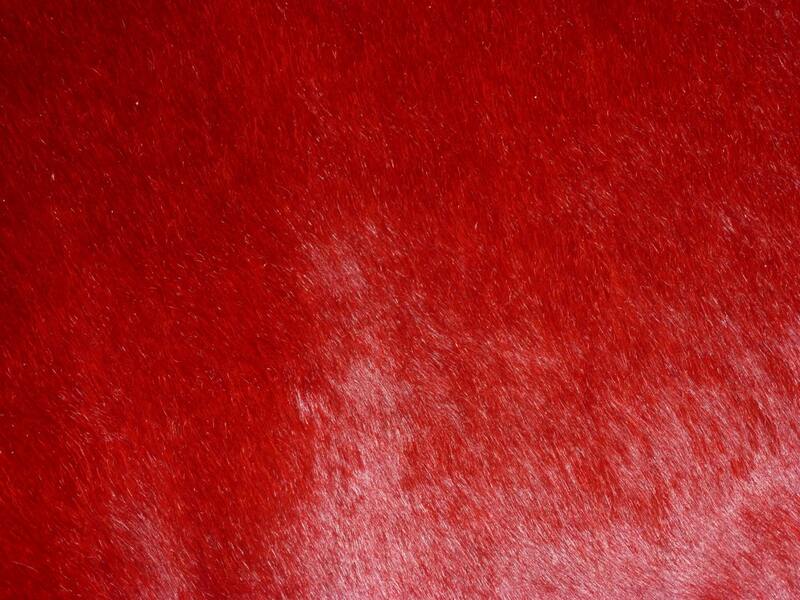 Hair On Dark Red / Blood red leather Leather Cowhide. This has semi short hair, not real long, but not super short either. 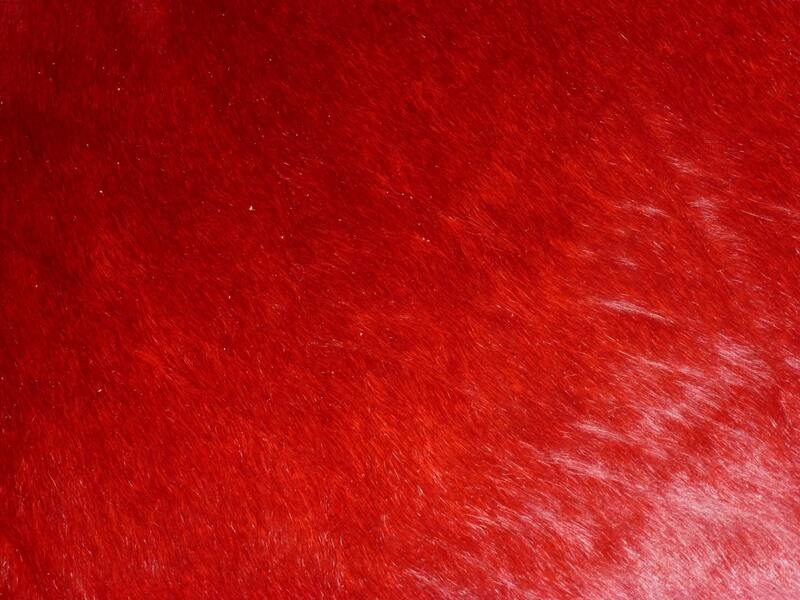 Backside is a pinkish red suede that may not be pretty Some pieces might have a stamp or fleshings other marks on them. This is one piece of leather that is absolutely beautiful in person. The photo doesn't do it justice. Love it. As described. Thank you so much. This is awesome and my customer loved it! Fast shipping, Terrific shop. I will be back!